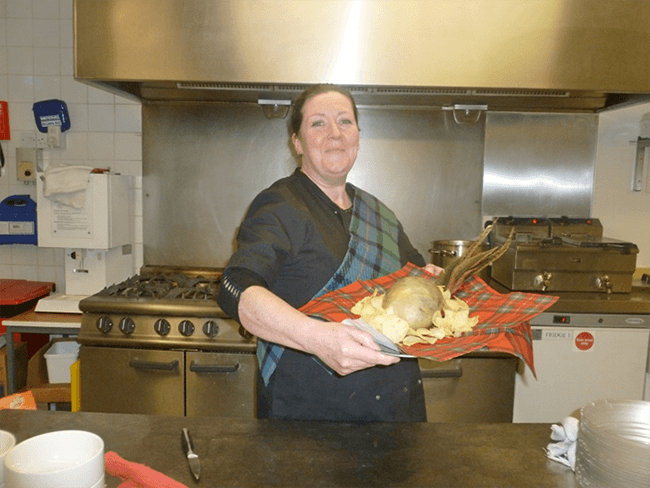 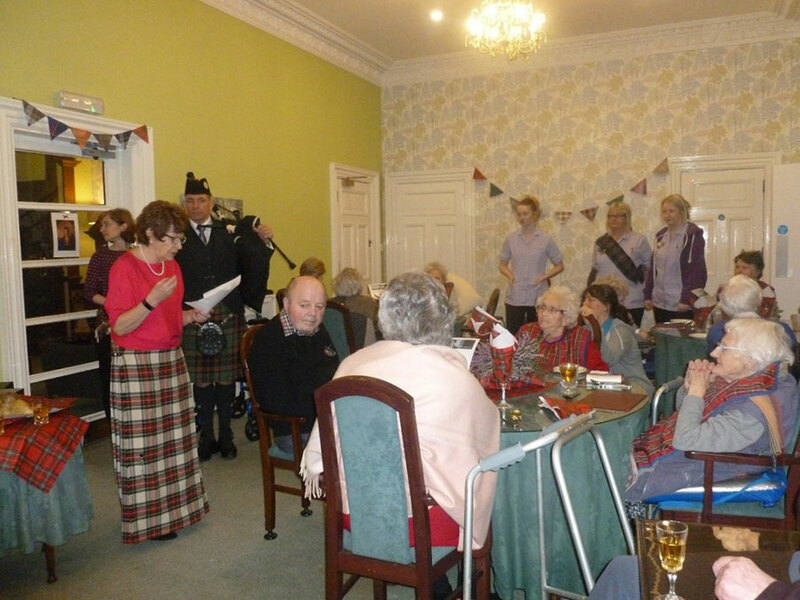 Residents at Abbeyvale, Abbeyside and the Grove, celebrated Burns Night with a traditional Burns Night supper today. 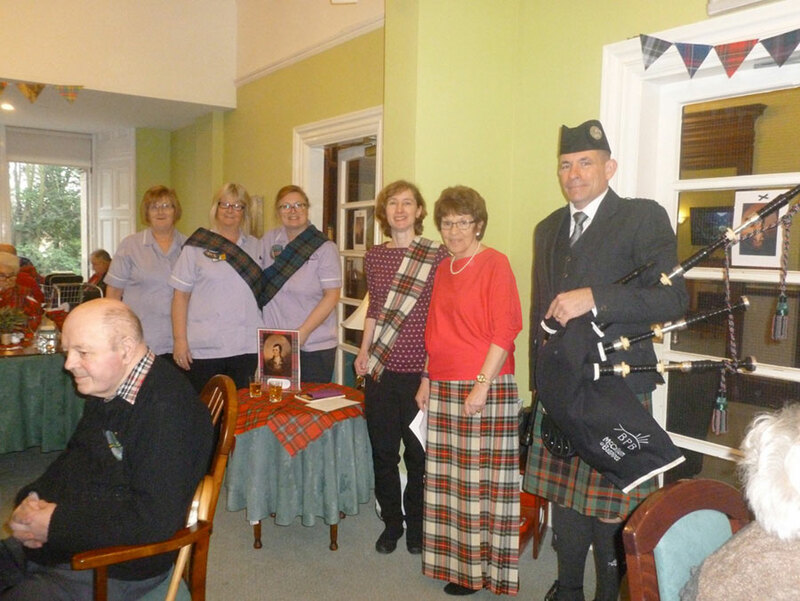 With tartan at the ready, proceedings began with the Selkirk Grace. 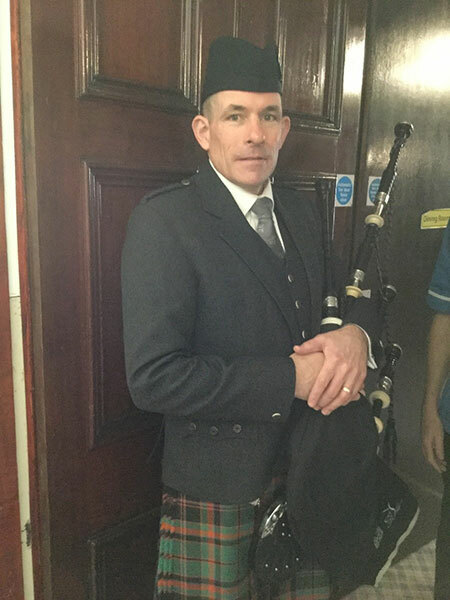 RAF serviceman Richard Bond ensured that the haggis was piped in with great pomp and ceremony.